DENVER, Colorado — A satellite community center meant to bring state and city resources to neighborhoods and areas where older adults live and gather launched Friday at the Montebello Recreation Center in Denver. 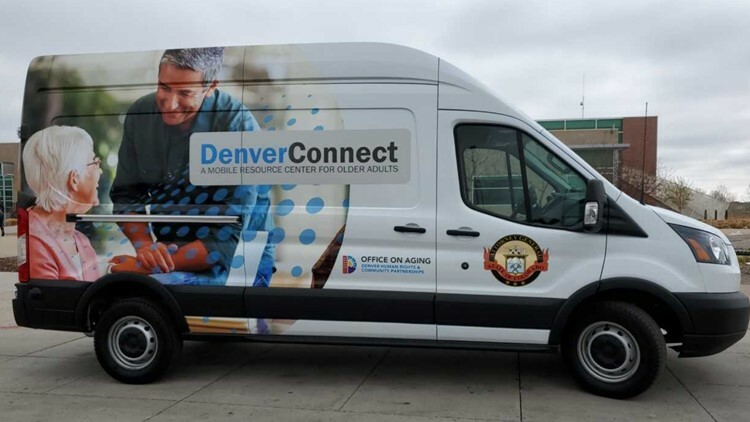 The "DenverConnect van" contains pullout tables and chairs, technology services and a staff person who helps older adults connect to their communities by setting up services with partnership agencies. The model hopes to expand throughout the state. Attorney General Phil Weiser, who was present at the launch event, cited a study that found in 2017-18, reported money and property losses to older Coloradans totaled nearly $22.2 million dollars. "We know that isolation among older Coloradans is pervasive and associated with an increased likelihood of financial exploitation and poorer health outcomes over time," Weiser said. "DenverConnect is a collaborative solution to link older adults to their communities and to bring awareness to important resources for aging in place with dignity and respect." In addition to being a financial partner, the Office of the Attorney General will provide information and training from the state’s "Stop Fraud" campaign via the DenverConnect van to assist older Coloradans in protecting themselves from falling victim to scams. The Office on Aging led the DenverConnect project, collaborating with more than 20 other departments and agencies.